This report updates an earlier report from January of 2007, which found a steep rise in illegal firings of pro-union workers in the 2000s relative to the last half of the 1990s. It updates the index of the probability that a pro-union worker will be fired in the course of a union election campaign, using published data from the National Labor Relations Board (NLRB). It also takes into consideration the increase in card-check organizing campaigns that began in the mid-1990s and adjusts the index for this factor. 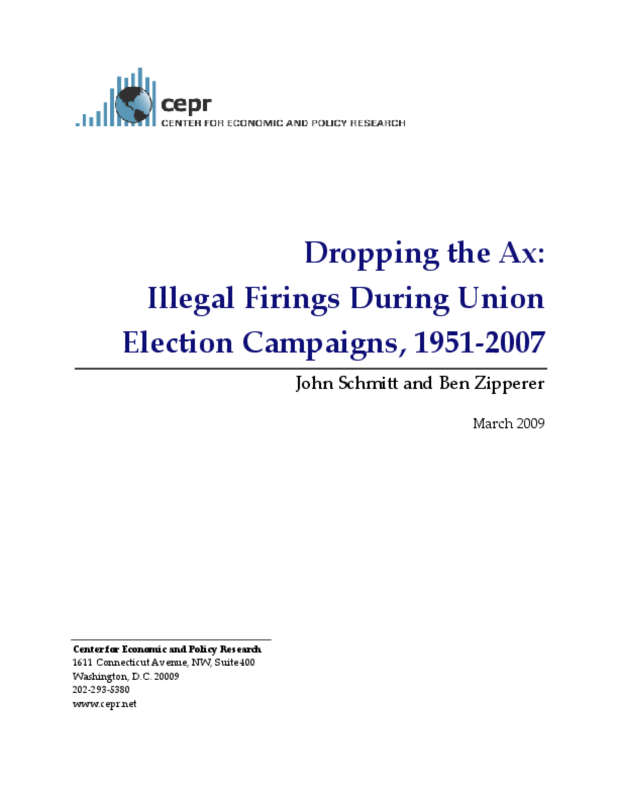 By 2007, pro-union workers involved in union election campaigns faced about a 1.8 percent chance of being illegally fired during the course of the campaign. If we assume that employers target union organizers and activists, and that union organizers and activists make up about 10 percent of pro-union workers, our estimates suggest that almost one-in-five union organizers or activists can expect to be fired as a result of their activities in a union election campaign. Since 2000, illegal firings have marred over one-in-four NLRB-sponsored union elections, reaching 30 percent of elections in 2007.